While we were in Oklahoma, we had a baby shower for my brother and sister-in-law, and my cousin and her husband (my cousin-in-law?) They are due on the same day! It was a great time. 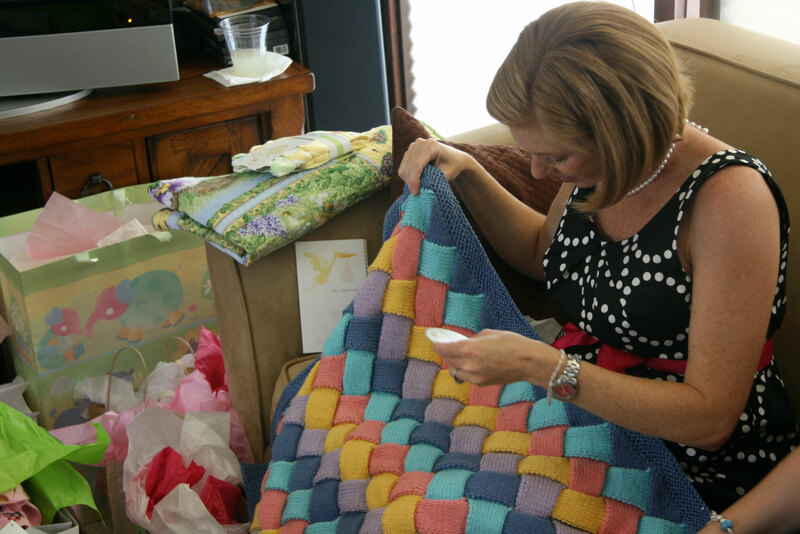 I’d knitted several gifts for the shower. 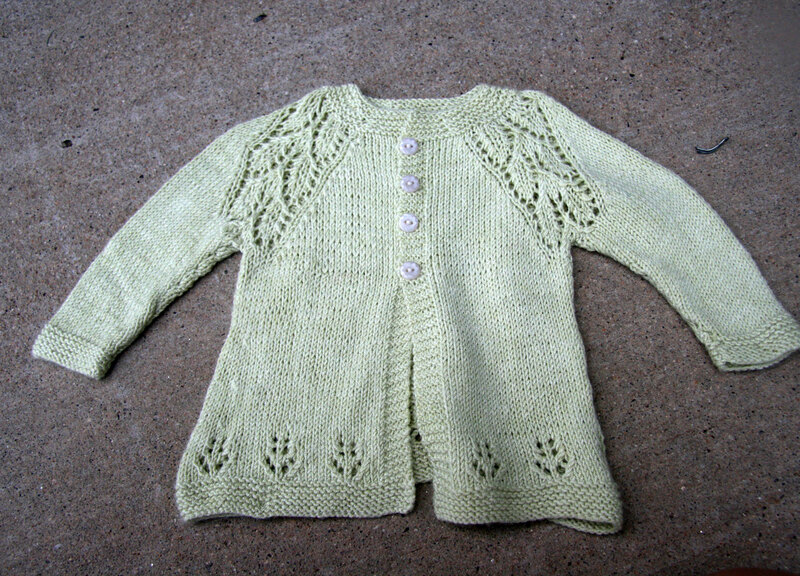 I also found some pictures of the Maile cardigan that I had made for Holly. I couldn’t find the pictures the other day, but I just knew I’d taken some. I had. 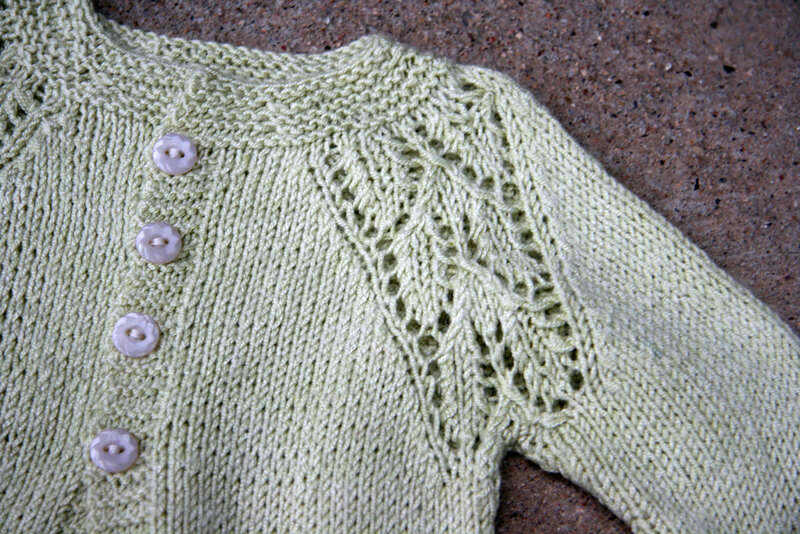 Like I’d mentioned, the Maile Cardigan is a great pattern. I used Kertzer On Your Toes Bamboo. This yarn is just wonderful to knit with. I made a shawl with it last summer, and I bought enough that I can still knit something else. There’s actually a little dress that I’m hoping to make with it. It’s another pattern from the Sock Yarn One Skein Wonder Book. Anyway, this will look so much sweeter on a baby (or 1 year old perhaps given my sizing). Some knitters mentioned that they found it difficult to add the sleeves to the body and then begin knitting in the round. The stitches are crowded at first and it’s hard to maneuver around “the corners” (this would make sense if you had it in front of you!). However, I used really long circular needles, and I just kept scooting the stitches around. I didn’t find it to be that big of a deal. I think the construction is well worth it. I definitely want to make this again sometime. 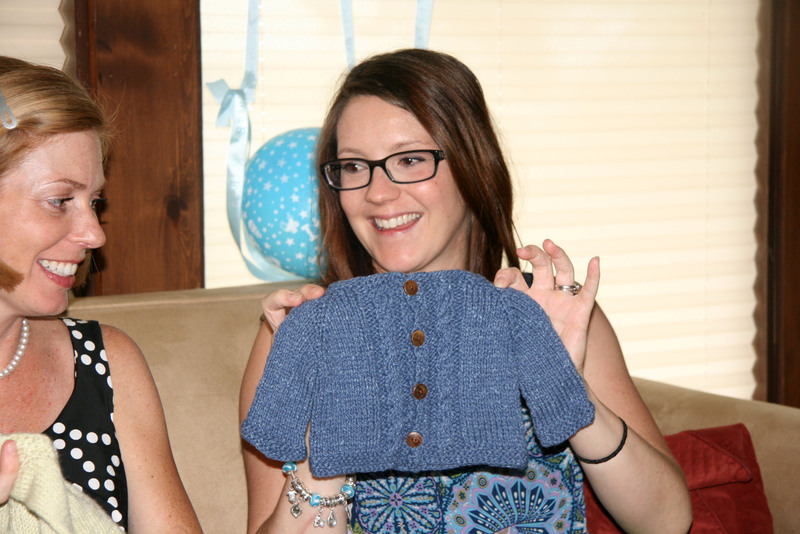 Here’s Mommy to be with the sweater. The color looks so different in this light! I have to share too the entrelac baby blanket that my sister made for Holly. It turned out so pretty! Totally unrelated, but I wanted to write this conversation down. Davey was helping me water this morning. I told him that when we lived in Arkansas we didn’t have to water so much because we got so much more rain. He likes to talk about us feeding the plants, and what they need to “eat and drink” to live. (sun and water). He was watering with the hose and he said, “Well I know they sell garden hoses in Arkansas, but I sure don’t know why they need to!. I always enjoy his observations. 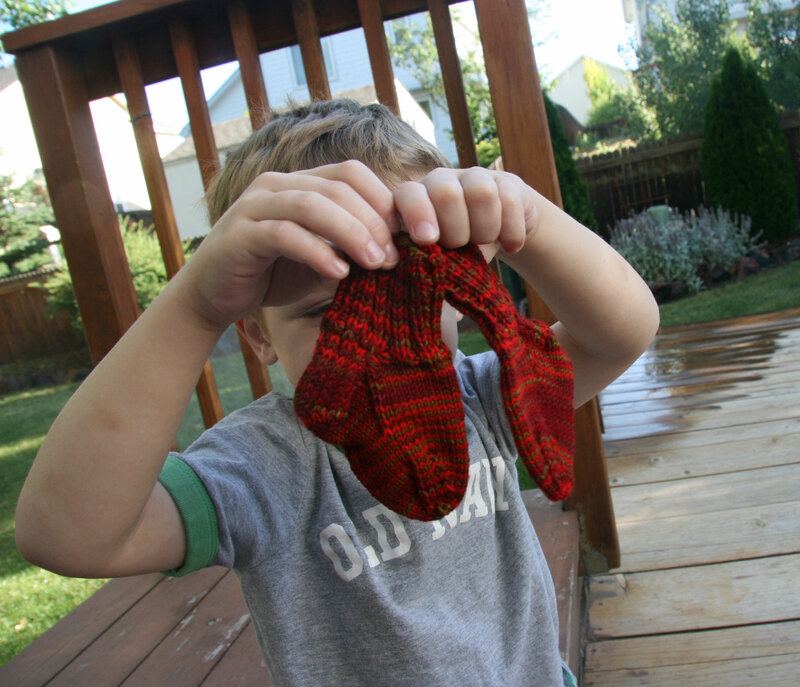 Here he is when he was helping me take pictures of the baby socks and hat I’d made. This entry was posted in Family, Knitting and tagged itty bitty cabled cardigan, kertzer on your toes bamboo, knit picks, maile cardigan by cpeezers. Bookmark the permalink.